We’ve all seen it before. Whether you’ve just finished building your own custom computer out of parts, or your old box finally needs a fresh-up, at some point or another we’ve manually installed Windows. For some people it’s a glorious day where you get to start anew, while for others it’s a horrible day because it means you probably crashed your system beyond all reasonable repair because of too much tweaking and you’d rather have it done as soon as possible. At one point or another the installer will ask you a strange question – how do you want to format your hard drive? For Windows systems, there are only a few possible answer choices. You either format it in NTFS or FAT, or you format it in NTFS or FAT (quick). Have you ever stopped to wonder what the difference actually is between a quick format vs full format? If you see “quick and easy” versus “absolute time waster” as the presented options instead of full format and quick format, I will have to inform you that Microsoft isn’t wasting your time for fun. Yes, there are indeed technological differences between the two options, and what each option essentially does. Understanding the effects of what you choose can be very important, depending on a couple of factors that you’ll have to decide on. To do that, we’ll dissect each option to figure out exactly what happens. Most experts say that choosing the full format feature (preferably NTFS over FAT) is better suited for your computer. For a handful of reasons, this is correct. A full format completely wipes your hard drive. After a full format, there shouldn’t be any recoverable data left that a program could sniff out. A full format also checks the hard drive for bad sectors. 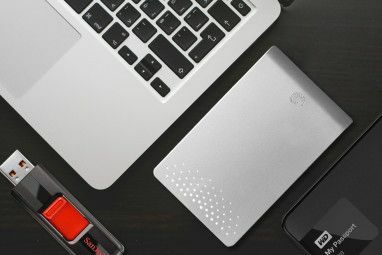 If you haven’t switched out your hard drive for a newer one, your old computer will have a hard drive that will most likely be, well, old. Old things, as we know, tend to break more often, depending on what it is. Therefore, old hard drives are more prone to getting bad sectors (although the possibility can still exist for brand new hard drives, provided data was written onto the hard drive in a way where it becomes corrupt. If the full format finds a bad sector, it will attempt to fix it. A successful fix means that your hard drive is once again fully functional and all space on it can be used. Finally, the tables of the new filesystem are carefully constructed on the hard drive and checked before the actual installation begins. On the other hand, we have a quick format. A quick format is almost the complete opposite of a full format (it’s almost because it has to do something to even be called a quick format). Instead of treating your hard drive to a nice manicure, pedicure, and what else, a quick format will only delete the journalling part of the filesystem. In case you don’t know, NTFS, ext3 and ext4, as well as HFS+ are all journalling filesystems. This means that a “journal” is kept in order to keep track of what files even exist and where they can be located on the hard drive. A quick format simply wipes this journal, and lays a new, simple, and blank filesystem on top. That’s it. It doesn’t really rebuild the filesystem, it doesn’t scan for bad sectors, and it doesn’t delete the data that’s on there. 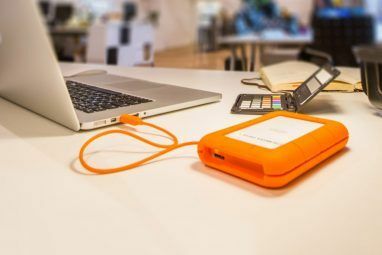 Therefore, assuming that no new data has been written back onto the hard drive to overwrite the “hidden” old data, one could use a file recovery program to find and re-save virtually every file that was on the hard drive before the quick format. As you may have guessed, this isn’t the best choice if you’re concerned about security. So at the end of the day, which formatting style should you choose? If you quite frankly still can’t decide on your own, I’d follow the experts’ recommendation and do a full format, as it’s worth the time to save your hard drive from potentially permanent damage in the future. A full format will also help to increase the speed, efficiency, and stability of the hard drive. However, you may judge upon the two methods on your own and choose what you think is best for you. What formatting option do you typically select? Which filesystem that has ever been created do you believe is the best? Let us know in the comments! Ok. Not so bad, although things are recoverable. thanks for the correction. It's true that formatting does not necessarily delete data, it simply deletes and re-writes the file system. It's also true that Windows automatically marks bad sectors as soon as it discovers them. Now, isn't it still possible to do a full format in Windows 7? You simply remove the default checkmark from the 'Quick Format' option. You can only do the normal format with Windows installed (because you can plug an old hd wich not support realocation of sectors). You cant do it on setup because you will never install Windows Vista or Seven on an old HD. All new HDs reallocates sectors, so, Windows will never discover any damaged sector or bad block, because the HD will report to Windows thats the sector is healthy. As Matt pointed out earlier, there's an article on MS's knowledge base which states differently, namely: "By default in Windows Vista, the formatcommand writes zeros to the whole disk when a full format is performed". Yes, ok, but on installation, on the setup of the windows, its not possible to do full format. Im still thinking thats this article should be deleted or so much revised. Thank you very much! :) Also thanks for finding that piece of information! That is a great article tip! I'll definitely follow up on it! Thanks for following up to my comment, Oron & Bill. Maybe to make it more understandable:Quick Format erases the FAT and MFT (reference where a file is stored on the drive)(long) Format erases the FAT and MFT and scans for bad sectorsNeither actually removes or overwrites the blocks containing data. This is where other (free or paid) methods are necessary.As for the security and recovery question the information is somewhat outdated. With current generation of drives the data density is so high that a single wipe (single pass writing one, zero or a random pattern over all sectors) is enough to render forensic recovery unfeasible. The real problem comes from the previously mentioned bad blocks and other inaccessible areas of the drive. Any and every software (including OS, dban, ...) overwrite the usable space of a hard drive, only. Blocks that are marked bad (P-List or G-List) are not accessible to them. If a block is marked bad and relocated the old block remains with all its data and can be used to reconstruct the file it is related to ~ which is why usual data wipe is not acceptable for government or high security use. This is the kind of journalism that I love: so easy to understand because it's basically flawed. As the other two posts point out, quick formatting just erases what is essentially a directory that tells the operating system where files are and what spaces are free to write new data on. A full format does erase data, but not so thoroughly as you might think. This is why professional grade data recovery services can recover data even from a formatted drive. It's also why the government can nail your *** even though you formatted your drives (assuming there was anything to nail it for). Oron was on the mark when he mentioned overwriting using an eraser program. But even then data can be resilient. 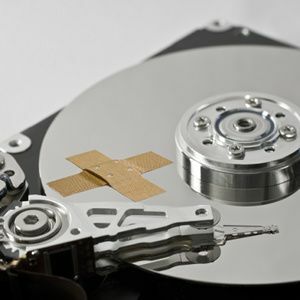 If you are serious (and by that I mean seriously paranoid) about your security due to financials or those naughty honeymoon photos, your best bet shy of physically destroying the drive and degaussing the bits and pieces, is a professional program that overwrites the data at least seven times over. For most of us this isn't really an issue. 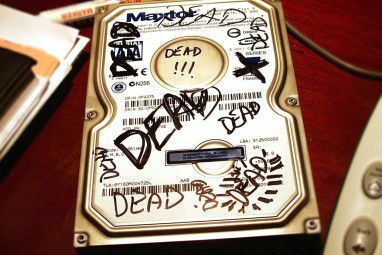 That kind of data recovery is so expen$$ive that no one is going to care about looking at your drive. Viva the masses! I was pretty sure that those were the points that I did mention, aside from professionally overwriting data with 0's. (hardware) will automatically allocates one of the spares to replace it. Journaling, as Mike explained, means writing down the transactions (changes to the disc), so that if there is an interruption to service (e.g. a power cut), it can be restored to a valid state with the latest updates possible. The article isn't entirely accurate. Quick format has nothing to do with the file systems journaling. Journaling only keeps track of changes therefor erasing it wouldn't remove any pointers to existing files. What quick format really does is removing the FAT (File Allocation Table) respectively the MFT (Master File Table) of the Partition. Also you have to mention that both options works on the logical drive or partition level not the Hard Drive. So a long format will not wipe and scan for bad sectors on the entire drive but only within the partition. As for Linux and the native file systems (ext3, ext4) it is different from Windows. Linux doesn't really distinct in those modes. In general formatting a drive in Linux does something that could be compared to "Quick format". If you want to really erase everything within Linux you will have to look for an option that does "zero-ing". Oh, I believed that the journaling information was also kept in the FAT or MFT. I guess that I heard it wrong.